The recent arrest of Joaquin "El Chapo" Guzman reminds me of a scene already seen very closely by me, the arrest in February of 1993, of the undisputed leader of the Mafia, Sicilian Cosa Nostra, Salvatore Riina. For those who are not particularly well informed about the developments and history of the war between the criminal cartels in Mexico to control not only of the drugs' traffics, cocaine, but not only, it is good to remember that this war has left, to date, nearly 90,000 people killed (cipher to defect because do not count the missing persons and those whose was not even reporter the disappearance). destroyed by the joint actions of Colombian and U.S. forces. 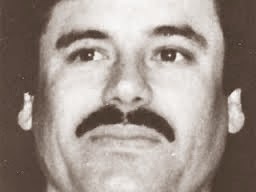 Guzman, El Chapo, benefited of the control of the Sinaloa Federation but he was never its master, some around him for various reasons has created the myth of El Chapo. This is, in fact, returning ti tue incipit of this piece, a common feature of all the gangs and criminal organizations all of which the media are interested in. Create the myth helps to make headlines but certainly not making information. 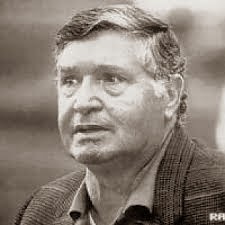 Salvatore Riina was not the boss of bosses but it was certainly a head of the Sicilian Cosa Nostra; at these levels, given the enormous interests economic and political, is absurd, simplistic and naive certainly think - il capo dei capi - the boss of the bosses. Salvatore Riina was arrested and the Sicilian Cosa Nostra had suffered yet another alleged "boss of bosses"; ridiculous to speak in this way, and certainly in favor of the same mafia that behind this "mythological" boss of bosses, continue to thrive in our country since its units. El Chapo, if really he is the one recently arrested, given a series of rumors that have been circulating about an alleged case of mistaken identity, had probably had its day as it was for Salvatore Riina. These criminal organizations, because of the relationships that bind with the politics and economics world, have a physiological need changes at the top; it has always happened and it is also logical. The shape of the head wears out over time, especially in relation to the change of policy of the state in which it acts. The governmental policies places the need to reassure public opinion and investors in order to legitimize their authority. Criminals, on the other hand, know they need to consider the imprisonment or violent death, and this is a habit of mind that you will learn to acquire immediately in that world. Guzman was arrested, the official said, while he was alone in a hotel-sea view-with his wife. The most wanted man in Mexico by state and rivals? Large liver or extreme recklessness. In my point of view, such a subject, as in the case of any prime minister for exemple, can not afford this kind of privacy if not surrounded by an adeguate army to protect his person and the interests of he is guarantor. We'll see: it will be interesting, for exemple, to note whether or not Joaquin Guzman will be extradited to the United States and what kind of reaction to his capture will be in the criminal world and in civil society. So far all considered and relating to the given the circumstances it seems more logical to infer that it was a surrender.